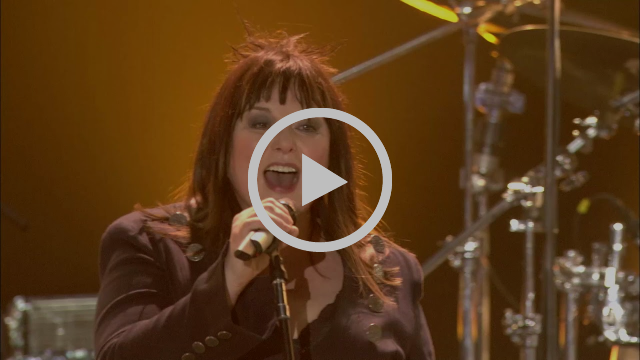 Today, Heart reveal the second song from their upcoming live album “Live In Atlantic City”. The powerful live rendition of “Bébé Le Strange” with special guest Dave Navarro on guitar show why it is one of the most loved songs by the Rock & Roll Hall of Fame inductees. Watch the video for “Bébé Le Strange” on earMUSIC’s official YouTube channel or see below. “Live In Atlantic City” was a night no one would ever forget. It brought together various stars around the two brightest shining stars of Heart. It pays tribute to and celebrates the band’s legacy with the help of an incredible range of artists and friends such as country music star Carrie Underwood, Jane’s Addiction founding member and former Red Hot Chili Peppers guitarist Dave Navarro, country singer-songwriter Gretchen Wilson and Canadian-American singer-songwriter and composer Rufus Wainwright. An exceptional highlight of the show furthermore entails the return of renowned grunge rockers Alice In Chains with Duff McKagan joining his friends on stage! “Live In Atlantic City” is going out now as CD+Blu-ray Digipak, 2LP Gatefold+download, DVD, Blu-ray and Digital.